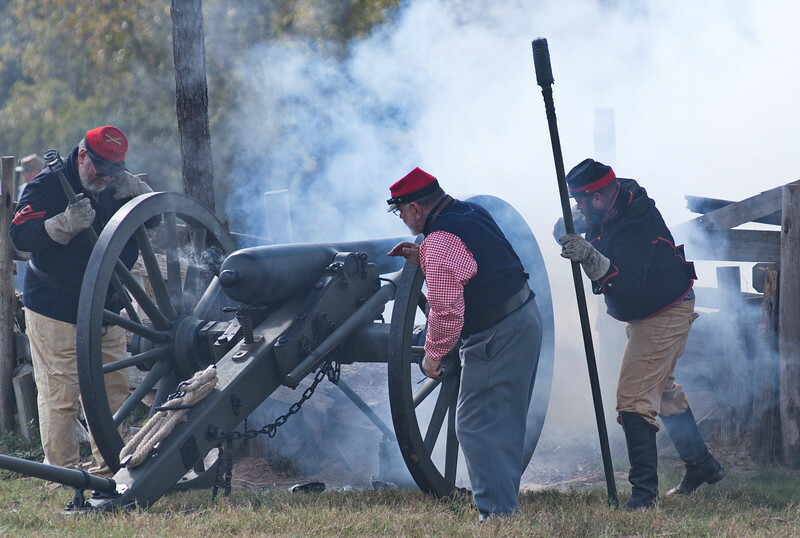 I'm headed to the Civil War Weekend at the Liendo Plantation in Hempstead, TX shortly. This is a photo I took last year of one of the battle reenactments. Pretty realistic looking battle event! This is a wonderful capture of the action. I love all the smoke in the shot too. Great smoke and mirrors shot, as in a 'mirror on the past'. Wonderful shot of the cannons in action. Definitely a 'don't try this at home' kind of hobby. Hope you (and the reenactors) have great weather for the event. Very atmospheric capture of a battle!